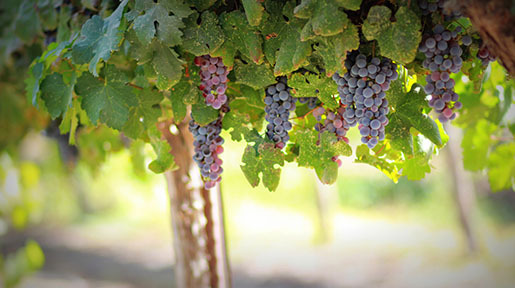 Nevarez Vineyard is a family-owned business located on 75 acres of land in Paso Robles. Juan Nevarez worked his way from farm laborer, to an organizer for Cesar Chavez, to becoming the founding vineyard manager for Justin Winery to eventually owning his own winery. 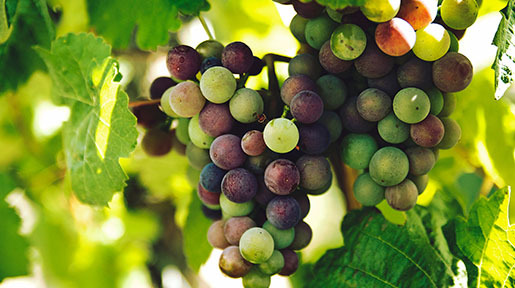 The fruit of Nevarez Vineyard continues to be purchased by established wineries in the Central Coast and in Northern California areas, and Nevarez has won two "Grower of the Year" awards. Juan Nevarez has become the first Mexican vineyard/winery owner in San Luis Obispo County. What are the challenges in being a Hispanic-owned winery? I wouldn’t say the challenges we have are due to being a Hispanic-owned winery but rather that of being a smaller wine business competing in our current economy. I have heard about (prejudicial behavior) being an issue for others and people have shared their stories with me, however I have not personally experienced it. I really think this is a credit to the Hispanic-owned wineries that existed before me who have blazed a trail in Napa and other regions in California. Our wines are fairly new to the market therefore creating space amongst all the wonderful wines of the world is a work in progress. But in time the passion and hard work put in will translate into passionate patrons of the distinct Paso Robles viticulture. The true backbone of the wine industry are the farm workers and laborers who do the harvesting, pruning and planting. What might the wine industry look like without so many unsung laborers? My wife and I both started in the wine industry as laborers, so I have a great appreciation for all the hard work that goes into making each and every bottle of wine. As a former organizer for Cesar Chavez I am proud to see the progress that has been made for farm workers and laborers’ rights within the industry; that is part of the motivation in having created our special Loteria label series, a celebration of our Mexican heritage and the work of the laborers that create some of the finest wine the world has ever harvested. I am a firm believer in giving back and supporting as many organizations I can that help to provide services not only to Latinos but to all who are in need. Since Day 1 we have teamed up with a consulting firm, Latino Consultants, who have guided us and opened our eyes to some of the best charities out there. We donate and participate in charities ranging from music, the arts, and with non-profit organizations specializing in health care and education. Rising wine alcohol levels in U.S. and foreign wines are a hot topic these days in wine circles. What are your thoughts on the subject? It is an important subject because you can’t drink California wines the same way as some of the European table wines with lower alcohol content. 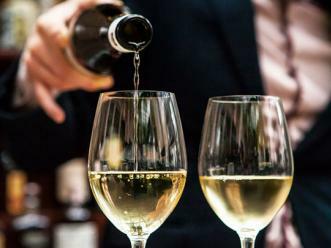 Alcohol levels often are related to big tastes, which is good because it has made it easier for more people to be interested in the wonderful world of wines and winemaking. Diversity, whether it is in winemakers, grapes, styles of wine makes the industry better, so does the diversity of tastes and those who drink the wine. The 100 point rating scale is, for better or worse, here to stay and can help or hinder consumers. What do you see as being the impact of the 100 point rating system? Well, the point system definitely has both advantages as well as disadvantages. The advantage being that it really gives people a starting point into tasting great wines and developing that curiosity to try others. The disadvantage is that wine is very personal, one person’s tastes are not the same as the next - even among wine judges and sommeliers - so there is a risk/reward setting that goes along with it. The rating scale is similar to the movie industry. Critics, for better or worse, can help or hinder a film; but overall, they urge the industry to have better products and help promote the industry as a whole. I think with that context it is hard for winemakers to be too critical of that system. You spent years as the vineyard manager for wineries like Justin and Carmody McNight in Paso Robles. How has that experience prepared you to now manage your own vineyards? As with anything to be passionate about knowing all facets of the industry are essential in order to create the best product possible. I have been fortunate enough to have seen and experience best practices and the challenges with the vineyards, and that has helped to produce the most beautiful fruit possible for my vineyard, as well as for my clients. 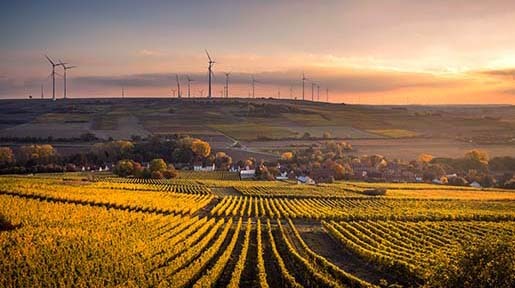 Through years of hard work you were able to purchase 75 acres for your vineyard. How difficult was that to do? It was very difficult but at the same time I was actually extremely lucky and I am grateful for how it worked out. Back then the banks would not give me any loans because I hadn’t built up enough credit yet. A realtor showed me the property and I fell in love with it so they were able to work out a private loan through the owner. I had saved my money for ten years with the hopes I would have enough for a down payment on land and finally my dream came true! It took me four years to pay off the loan and a bit later I ended up purchasing another 22 acres. My vineyard is beautiful and I am so proud of all the hard work and sacrifice it took to get it where it is today. Now I am working on the second part of my dream: a winery! Why do you think there are so few Latino owned or operated wineries in the U.S. and is that changing? I think the lack of Latino-owned or operated wineries in the U.S. is probably related to the marketing strategies used in the U.S. for alcoholic beverages, which has traditionally been for other types of beverages. So the mind-set of U.S. Latinos participating in the wine industry is still coming around in that regard. Also, deciding to pursue owning an agricultural business is an expensive undertaking with a lot of risk and a lot of hard work where the Return On Investment is measured in years rather than weekly or monthly as a restaurant might have. I do believe that is changing though, slowly, but it is changing. Latino success is something we need to strive for in every industry, not just the wine industry which is the reason why we must work hard and support one another. The Hispanic demographics are changing rapidly. From a marketing perspective, why do you think your community has been ignored for so long? Mass marketing and marketing dollars are typically geared toward the products that will be the top money maker for the Latino market which so far is beer and Tequila. As more research is being done and the results show that more Latinos want wine with dinner, more marketing dollars will go that way. You worked as a field laborer many years ago. What did that experience teach you? Working as a field laborer taught me to appreciate all the hard work that goes into making each and every bottle of wine. I can definitely relate to my field worker staff and encourage them in ways I think others can’t. Also, in working so closely with the vineyards and the grapes I know how I want my vineyards and grapes to be. My standards are very high because I have had many years of experience in the field. The love and passion I have for what I do drives me to continue to strive for more, and to do special things above and beyond what is expected for labor staff.